Time management is a skill. It takes time to make time and when you do it right, you’ve got a lot more of it. If you’re anything like me, you weren’t exactly taught how to manage your time effectively to get the most out of your day and be productive as possible. But, there is always time to learn how to create more time! Effective time management skills will not only allow you to get more out of your day, but can help you balance your life so that you have time for the most important things in your life. Follow these 8 crucial steps to get the most out of every minute of your day. Time can be easily wasted when you don’t really know where and what you are spending your time on each day. Take a week to monitor your days and record how much time you spend on any activity. Where is your energy being spent? Once you know where your time is going, you can eliminate time-wasters and focus your time efficiently. Add buffers! Buffers are awesome! If you think it will take 2 weeks to complete a project, give yourself 3 extra days. If you plan a phone call with a client that may take an hour, include an extra half hour to record notes/follow-up. Buffers give you more control of your time and your day. Don’t hold on to prehistoric ideas that you are the only person who can get the job done right. If you have a full-plate, send some tasks to a co-worker. Delegate pieces of difficult assignments out and focus on a smaller portion of the project. Quality happens when your time is not consumed and overwhelmed. Do you have tasks that are repetitive and feel like time-wasters but are crucial to your job? Look into programs that can automate the process. Any task that you do 3 or more times a week and can be automated, should be. Schedule your day. Plan your day out beforehand and assign chunks of time for different tasks and projects. Ongoing projects and tasks that take up a good portion of time can be chunked out each day. For example, chunk out every morning from 8-10 for blog writing. Staying on your schedule will definitely increase production and help maintain efficiency. Do not disturb yourself. Limit your distractions during your scheduled times. Turn off your phone, email, social media and focus. 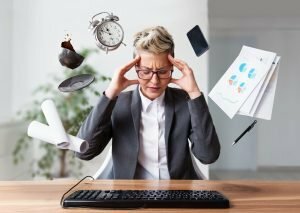 This can be very challenging if you are a multi-tasker or if there are constant interruptions in your field of work, but shutting out distractions for even 30 minutes a day can really help complete tasks that might get set aside otherwise. You won’t be able to eliminate all distractions from your day, but a small amount here and there can go a long way for production and efficiency. Take some time to prioritize your day before you start and you’ll see how much more you can accomplish!